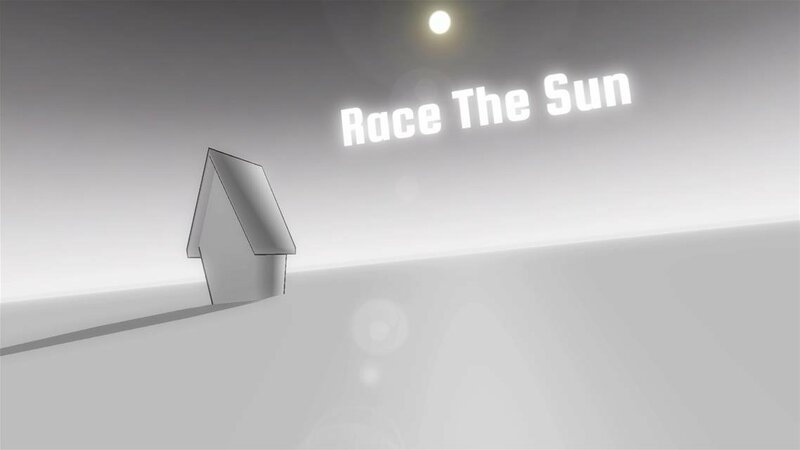 Race The Sun was originally released on PC back in 2013 before making its way onto the Playstation consoles in 2014 and the Wii U in 2015. An endless runner, or flyer in this case since you play as a solar-powered spacecraft, the objective is right there in the title — you have to race towards the sun. Having finally flown onto Xbox One, was it worth the wait? The objective of the game is simple, at least in theory; all you have to do is chase down the sun as it sets. In reality, it's obviously not going to be that easy with an increasing amount of obstacles in the player's way. 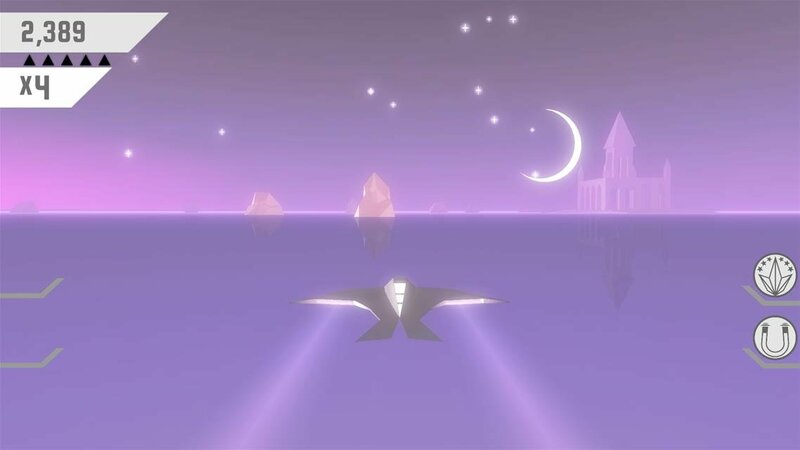 The run ends either when the player has a head-on collision with an obstacle (side-on collisions are fine, although they do slow down the player a sizeable amount) or when the sun inevitably sets, meaning the ship runs out of the solar energy it requires to fly, so make sure to stay out of the shadows, too. 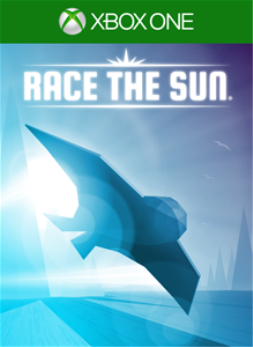 Race The Sun is quite the challenge because of its fast starting pace and this only gets faster as a run goes on. Fun but frenetic, the player can go from an almost zen-like state, dodging and weaving between obstacles, to instantly cursing after a run-ending collision. Thanks to a fast restart, albeit not quite as fast as the instantaneous Super Meat Boy, these crashes are minor frustrations of the "just one more run" variety as opposed to quitting the game outright. As to be expected considering the genre, Race The Sun's controls are extremely simple. Moving the left stick left or right pilots the ship in that direction. The only other necessary control is A to use the jump power-up. The X button can be used to go into first-person view, which provides the player with a exhilarating feeling of (more) speed. However, considering how fast the player is already moving, players may want to hold off trying it out until they familiarise themselves with the game seeing as it can add extra layer of difficulty to an already challenging game. Despite initially being locked behind the game's levelling system in which the player progresses by beating various challenges, the use of power-ups is as essential as knowing the controls to progress. The "Energy" power-up in particular is necessary as it increases the height of the sun, which in turn keeps the player's run going. While not quite as directly influential as the energy power-up, the "Jump", "Emergency Portal" and "Region Warp" power-ups similarly scattered around the world will be beneficial for the player, too. Jump gives the player the ability to jump high into the air once, allowing them to avoid an obstacle with the side-benefit of allowing the player to have a longer look to see what's ahead. The emergency portal will teleport the player into the air to avoid an otherwise fatal collision, and the region warp will instantly teleport the player to the end of a region. The final, most prolific, pick-up in the game, however, are the Tris. They do not have any effect on the gameplay but instead impact the player's score both as an immediate score increase and an increase to the score multiplier when five are collected. Runs are bound to end eventually, but picking up any and all of these power-ups will help to stave off the inevitable whilst getting the best score possible. One aspect of Race The Sun that was a pleasant surprise was the amount of variety. Starting with the spacecraft, there are a couple of ships from the start with decals that are subsequently unlocked by levelling up, the same way everything is earned in the game. In addition to those cosmetics are the more useful ship attachments. These handful of attachments range from the ability to hold more than one of the jump or emergency portal power-ups, to more battery life that allows players to stay alive longer in the shade. Some of the attachments can themselves be upgraded when the player reaches certain levels. In addition to that, there are a few different game modes on offer alongside the normal "Race The Sun" mode. 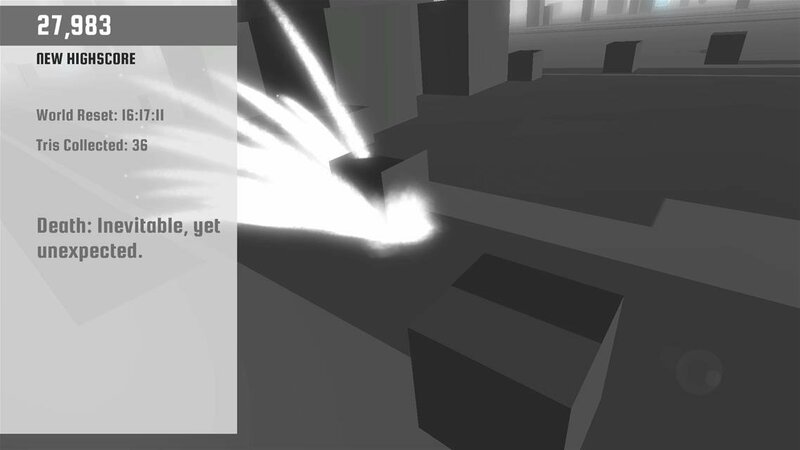 Available at the start is "Sunrise" mode, a true endless mode that only ends when the player crashes; considering the much lower amount of obstacles on offer, the player basically gets to decide when that is. Add in rather more chilled music and you've got a mode that works well as a nice balance to the main mode. 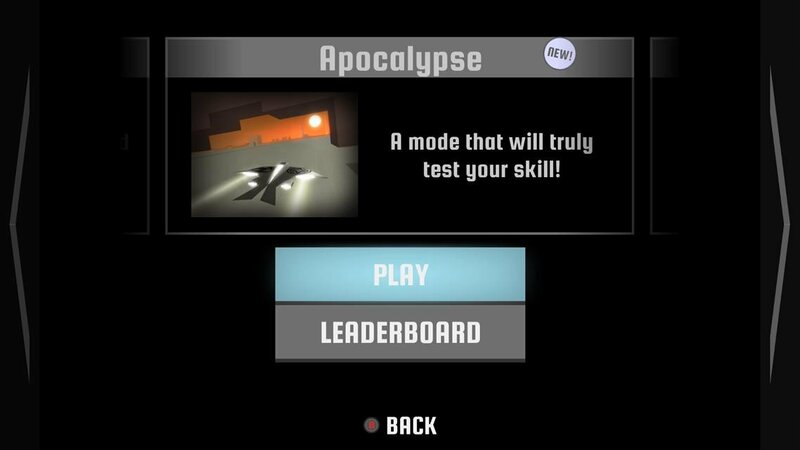 Unlocked later is the game's much more menacing "Apocalypse" mode, which is similar in structure to the normal mode but is a lot harder, thanks to more challenging variations and an increased number of obstacles right from the get go. Who would've thought with a name like that? There is also the Labyrinth mode, the final unlock of the game at level 25. Instead of trying to stop the setting sun, this mode gets rid of the sun entirely and tasks their player to work their way through a more maze-like world that focuses on planning ahead as opposed to the more twitch-based reaction gameplay of the main mode. Finally, there's a "Credits mode" that thanks Kickstarter backers in addition to crediting the small developer themselves, but in all likelihood players will only play through this once, if at all. The normal mode will be where players will spend most of their time, but each of the other modes should provide something a little different for when players want to try something new. Finally, not even the world itself is safe from variety as it changes every 24 hours itself. The game will always be pulling from the same batch of obstacles, but their placement in each region can vary wildly. The time limit ensures that players have enough time to become familiar with a world but also that there's a diversity that stops it from becoming too simple. Combine Race The Sun's short individual runs with a world that changes each day and this probably isn't a game that players will want to play for huge stretches of time in one day, but they may very well find themselves returning again and again on a daily basis. There's nothing foreboding about a mode named Apocalypse, right guys? With a genre such as the endless runner where players are going to be paying attention to everything on screen, it's especially important that the game looks good, but not so distracting that anything non-important takes away from the player's focus. 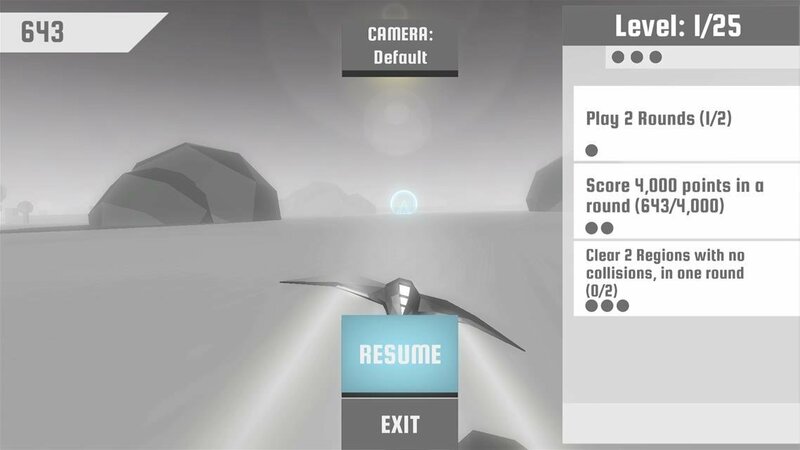 Luckily, thanks to a rather minimalistic style in which pretty much everything is an obstacle to avoid anyway, the team at Flippfly has struck a good balance between the two with a game that's pleasant to look at but is one that doesn't distract the player from chasing down that sun, particularly while playing the "Sunrise" mode or in one of the worlds that the player can travel to via specific portals that are sporadically found throughout runs. Perhaps in part to the minimalistic style or perhaps the simple gameplay, the game is a little lacking in variety when it comes to the obstacles, however. Racing through the world, you'll notice that many of the obstacles repeat throughout regions and runs. While this is to be expected eventually given the genre, and each mode does have their own unique variations, you feel like you're seeing the same things over and over fairly quickly. The only other disappointment is the game does not have features that were available in the PC version, namely the world creator and multiplayer relay. Whilst the world creator could be too technical to implement well on console, missing out on the game's rather unique relay system — where players share where their run ended and other players can take over until the "team" runs out of a set amount of lifeforce — is a bit of a shame. That's not to say the game doesn't have enough content, but it is disappointing to miss out on a rather unique feature. When it comes to Race The Sun's achievements, getting the full 1000 may prove to be a challenge. In amongst achievements for reaching certain levels in the game, and earning so many points in a run, are getting so many regions in Apocalypse mode and having a certain amount of perfect regions in a run. Players that have reached the later levels should find this easier on the whole with more and better ship attachments, but getting 100% in the game will require a bit of luck and possibly nerves of steel. This reviewer spent roughly 8 hours spending most of his time racing and crashing his way to 11 of the game's 25 achievements. An Xbox One download code was provided by the ID@Xbox team for the purpose of this review.